Dirty Dancing Reunion! 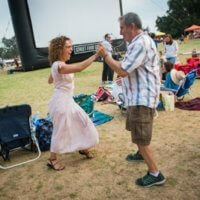 Jennifer Grey and Kenny Ortega Head To Street Food Cinema For the 30th Anniversary Of The Classic Film! mike September 3, 2017 Fanboying!